Day 162: Duct Tape. Part 1? When I lived in Minnesota as part of a smaller theater community, I encountered a point of view I had never heard before: that not everyone should make Art and that the attitude that everyone can is detrimental to the craft and profession of making Art. There’s an interesting debate here that I think applies to DIY, a craze that seems to say anyone can decorate their bathroom, paint their hallway, or refinish their furniture. Anyone can make floating shelves out of closet doors or headboards out of Ikea Tables or artwork out of duct tape. But some would say (and many of them are probably interior decorators or carpenters) not everyone should. I’m pretty sure I fall in to that category, except that I have fun thinking up craft projects. For me, the execution leaves a little to be desired. But the ideas are always fun. 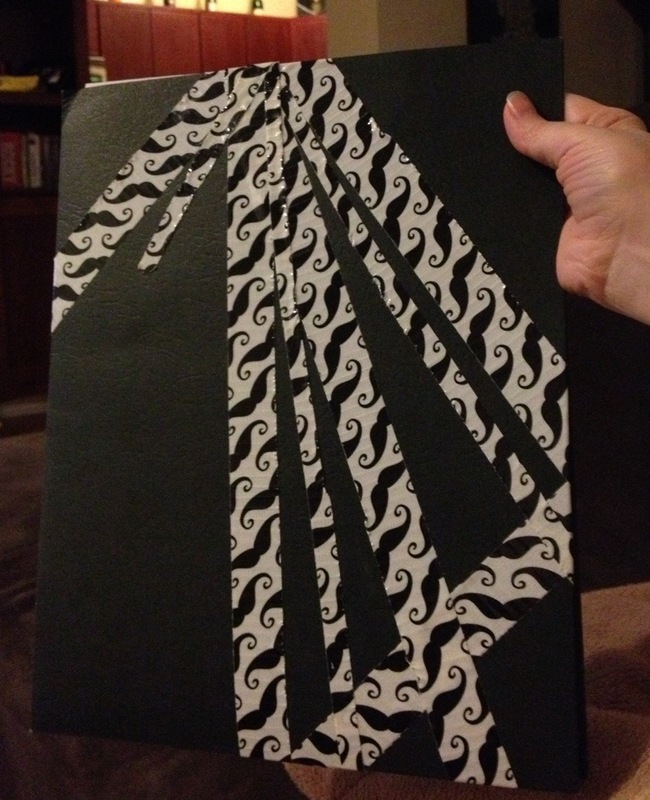 Tonight I tested the duct tape project on a folder the hubs and I use to hold the hard copies of house listings we’ve picked up at the open houses we have been going to. 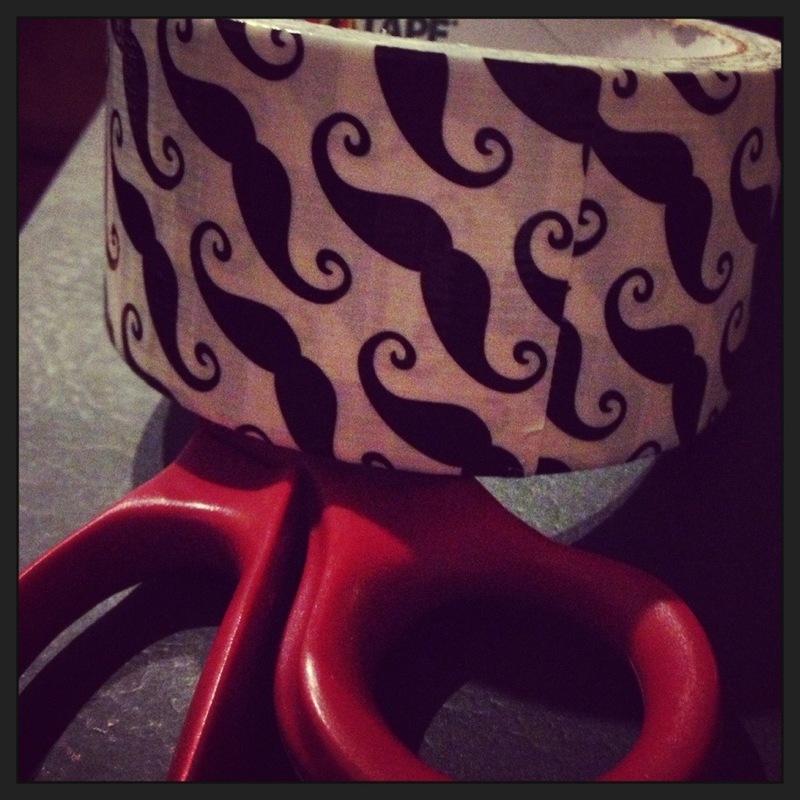 I found this mustachioed kind at my local Walgreens and went to town cutting strips and placing them in a (somewhat) interesting pattern. We have this old, ugly bookcase in our entry way that I’ve been wanting to change in some way. I’m not sure if this will be the method or not, but it was a fun idea to test!